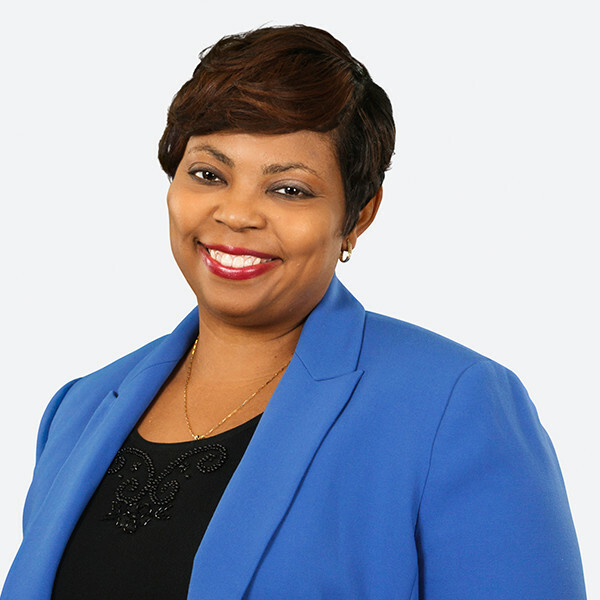 Audra Jenkins leads the diversity, inclusion, veteran, and compliance team for Randstad Sourceright. In this role, Jenkins provides clients with guidance for effective diversity strategies. Her team includes experts in U.S. Equal Employment Opportunity (EEO), Office of Federal Contract Compliance Programs (OFCCP) and global diversity-related regulations, and provides diversity and compliance planning, audit and risk assessment, training, formal governance practices and regulatory updates to keep clients informed on the requirements that impact their recruiting strategies. We were fortunate to welcome Audra Jenkins, head of diversity and compliance at Randstad Sourceright, to Engage 2017 as a panelist discussing the table stakes necessity of diversity and inclusion initiatives in recruiting, alongside Ames Simmons, Loretta Penn, and Richard Wahlquist. While Audra was at Engage she took to the time to meet with RIX and discuss the meaning she derives from her work and what the staffing industry needs to prioritize from a diversity and inclusion perspective in order to maximize productivity and reap the tremendous business benefits that such a focus affords. The following are excerpts from our video interview with Audra. RIX: What do you consider a good day? Audra Jenkins (AJ): I think a good day is if we’ve impacted the lives of individuals. One of the things about working in the staffing industry is that it is so rewarding to get someone a job. You are helping them to earn a living, a good wage. That’s something that you take honor in doing. I think the people who work in this industry don’t do it lightheartedly; we take it seriously, and we want to be in this space. RIX: What contributes to a lack of diversity in staffing? AJ: Staffing is interesting because it’s an industry that is really ahead of the curve when it comes to technology and investment. But ironically, it’s behind the curve when it comes to basic HR. You would think that because we work in a field related to HR and talent acquisition, we’d be ahead of things – leaders in the marketplace. But from a diversity perspective, I believe staffing has really fallen behind the curve. We don’t see a lot of diverse staffing agencies, or diverse staffing branches. We don’t see a lot of people who are diverse. When you go to large conferences where there are a lot of staffing firms represented, you honestly don’t see much diversity there. And I’m not sure if it’s because of the nature of the business that you don’t see that diversity, or there just hasn’t been a commitment to improving representation in the past. RIX: What needs to change? AJ: I think what needs to change is that we need more executive support and investment in diversity. I talked about it in our diversity panel here at Engage, how there are three levels of diversity according to Oxford Economics. There is “compliance,” where you’re checking boxes and just staying out of jail. Then there’s “commitment,” where you actually have it link to business goals, and there’s executive commitment to do something about diversity. And then there’s “core,” which is the vanguard level of diversity where every company should be operating; which is when diversity becomes just a natural part of doing business. RIX: Being an expert in this field and seeing past and future, are you hopeful that we’ll improve as an industry? AJ: I am hopeful about the staffing industry and where it’s going from a diversity perspective. I think that what will herald the change in our clients. If you look at our client base, the majority of our clients at Randstad Sourceright are federal contractors, and diversity is huge on their radar. And if you come to the table and you don’t have that diversity in your leadership, that commitment to diversity, you might lose business with your larger clients who are more global, committed, and have significant revenue tied to diversity. They’re going to ask more of staffing firms. RIX: Can you provide examples of companies or organizations who are making great strides with their diversity initiatives? AJ: I think if you want to look at people that are doing it well, check out those who make the Diversity Inc Top 50. The companies on that list are committed to diversity because they have huge investments in it. It’s not even about the amount of money, but also the time commitment and the sponsorship levels that they provide. It’s so much. It’s a wide open space. There are a lot of things you can do to improve your own organization’s prioritization of diversity, but I think it really starts with having the conversation. A lot of people are uncomfortable having that conversation about diversity; especially if they don’t know where to start, how even bringing up the topic will be perceived, especially in regards to a company’s image in the marketplace. But every positive change starts with a dialogue. RIX: What do you feel is the biggest obstacle to embracing diversity from a workplace perspective in general? AJ: The biggest obstacle to diversity is unconscious bias. I always say that unconscious bias derails diversity initiatives because you’re not addressing the underlying cause of why an organization is not diverse to start with. I use this analysis of “I don’t like green M&Ms.” “I don’t want a green M&M; I don’t care for a green M&M.” I’m conscious of that. It’s the unconscious bias. I may avoid the yellow M&Ms and not know why. So you can take that to say, “Well, I don’t know why we don’t have diversity.” But you do know why. Everybody has bias – it’s not one group’s burden to bear. We all carry it; it’s in our backpack full of stuff that we get from childhood to adulthood that make us to the people we are today. The number one thing that will derail any diversity initiative is unconscious bias. If you don’t uncover it with a cultural competence assessment and address it, then you’ll never move the needle on diversity. No matter how much money you put in, and how many people you put on it. RIX: If you were to walk into a room and an executive simply didn’t see the point of diversity, or didn’t think that a lack of diversity was a real problem, what would you say to him or her? Why should staffing leaders care? AJ: You should care about diversity because it’s a business imperative. It will impact your revenue, scalability, and ability to operate on a global scale. I know staffing firms that have gone to the table with major global deals and lost out on those multi-million dollar deals because they brought no diversity of people, thought, or action. They brought no diversity strategy, no commitment. You need to have a vision and values around diversity, it’s not just words on a paper. It has to be what you live and believe. If you’re not living and believing it, then it’s not going to happen for your organization. If you say you’re committed to diversity, but yet you have no diversity in your leadership, that’s not being authentic. Not authentic to your clients, and not authentic to yourself. So if you want to walk the walk, you have to really own the action behind the words to make it valuable. Or, prepare yourself to miss out on major deals because the marketplace is changing. Demographics are changing. We will not have just a handful of races in the next forty years. Humanity will encompass a variety of ethnicities, gender identities, and orientations. It will be a melting pot in all areas of the country.